Escex provides quality residential restoration services. 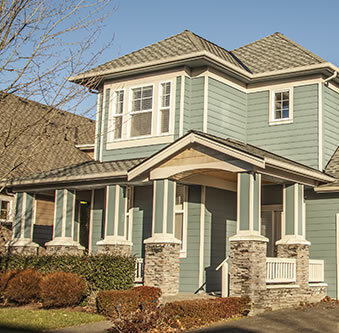 We restore and do quality roofing for residential property such as homes, condominiums, and townhomes that have structural damage due to hail, wind, water, fire and smoke. We’ve helped thousands of homeowners through the storm repair process. In doing so, we’ve developed a deep understanding of how to meet the needs of homeowners at any scale of repair. Our focus is to make the insurance and restoration process straightforward and stress-free for our customers. Most home owners have never set foot on their roof and may not ever think about it until something goes wrong. When a storm strikes or the roof is leaking from old age, you’ll need someone you can trust to get the job done right, on time and within your budget. Hail can create soft spots in asphalt shingles, voiding most manufacturers’ warranties. Often hail and wind damage can be hard to detect, so it’s important to have your roof assessed for damages before leaks form. We are happy to work with your insurance company and help you build a professional roof insurance claim. 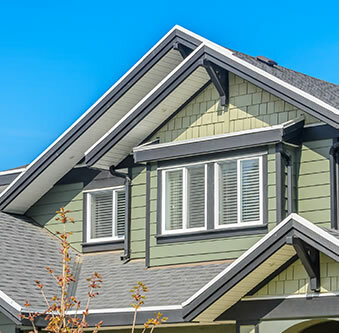 Escex roofing services utilize building materials, roofing supplies, and roofing materials for all our roofing systems that have been specifically evaluated for longevity and durability, while at the same time making your home the envy of the neighborhood. Escex provides their customers with a high-performance, economic, and eco-friendly alternative to re-roofing. It is a new technology roof coatings that use silicon based material. If you’re a property owner of an existing roof that is BUR, EPDM, shingles, tile, PVC, TPO, modified bitumen, aged acrylic, urethane, metal or low-solids solids silicone and cannot afford a new commercial roof replacement, but still need a 20-50 year warranty for half the cost of a new roof replacement we have the answer for you. SRM coatings will renew the roof into a seamless, low maintenance system with long lasting performance. Silicone Restoration Membrane (SRM) is a system approach for commercial roof repair and waterproofing. Using easy-to-apply silicone products from West Development Group, SRM roof restoration eliminates most tear-offs. Save yourself money and reduce the amount of waste sent to local landfills.